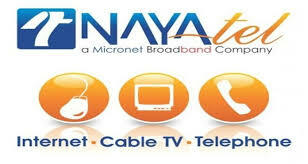 Nayatel has introduced the telephony solution with zero line rent, free outgoing call on the net calls in the city and the customers can also earn the discount of PKR 0.3/minute for incoming calls & PKR 0.3/5 minutes for outgoing calls and this company has introduced the ‘Mobile Minutes Offer.’ With the provision of this new and unique call offer, you can share this offer to your friends and family members from your Nayatel landline number for 170 minutes for Rs.199/month. 3. SMS: Sub < Space > MO < Space > Number1, Number2 and send it to 0302 8555941-2. Various terms and conditions are applied to this offer. 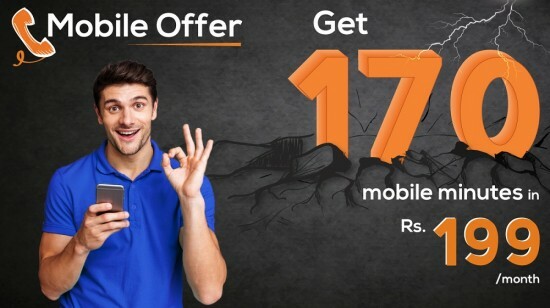 This offer is applicable on the phone numbers (POTS) and not on user ID. Rewards offer not applicable on this package. The customers can avail this offer multiple times and it will renew automatically by 1st of every month unless, the clients unsubscribe it. The users will make the outgoing call if their Nayatel account gets locked because of the non-payment. This package is offered to the cellular calls for POTS services. When the clients consume free 170 minutes, normal tariff rates are applied. The free minutes, which are consumed, will not be carried forward (if you subscribe this offer again, you will not get them back). The calls will be charges on the basis of per minute.